Our sense of smell is key to our emotions and memory. The power of scent and fragrance when it comes to improving our mood and enhancing our sense of well-being is well documented1. For many brands, the considered use of scent is probably the most cost-effective action they can take to enhance the experience of their customers. But how do consumers really feel about scents and what is their impact on us? As predominantly visual creatures2, we don’t always think about it. But very often, our decisions to go to certain stores or linger in them is driven by scent, whether we’re aware of it or not3. Scent is a much more powerful driver of our perception and behaviour than we think, and those we don’t notice can have a bigger impact on our judgements than those we do4. For example, one study found that scenting in a retail environment resulted in participants perceiving that they spend less time in store than they actually do5. Another similar experiment found that customers who had spent 40 minutes in store thought that they had only spent 25 minutes once ambient scenting was introduced. Why does this happen? According to one report, most consumers make a brand their first choice if it engages four to five of their senses6. And with our sense of smell being so powerful, signature and familiar scents can quickly create strong yet subtle brand affiliations, which allow customers to feel like they’re part of a brand the minute they enter its premises. This, in turn, can eventually create an emotional bond based on memory and a preference for being in its stores. In other words, meaningful emotional connections lead to stronger brand affiliations. As 75 per cent of our emotions are generated by what we smell7, olfactory branding is the logical step for retailers to take to boost customer enjoyment, engagement, and loyalty. No matter how well you connect with your customers’ eyes and ears, unless you connect with their nose too, then you are missing out on a golden opportunity to stimulate all of their senses and spark positive feelings. I am really excited by the increasingly intelligent use of scent to create truly memorable and uplifting experiences. When brands appeal to all our senses in a congruent manner, the impact is even greater. Those brands at the top of their game, manage to make the multisensory environment distinctive through the use of signature scents that are both recognisable but also provide a sensory benefit to the customer, by either improving their mood or their well-being. We are still just scratching the surface of the power of scent in marketing; there is no time like the present to get started. 1 Spence, C. (2003). A new multisensory approach to health and well-being. In Essence, 2, 16-22. 3 Spence, C. (2002). The ICI report on the secret of the senses. London: The Communication Group; Spence, C., Puccinelli, N. Grewal, D., & Roggeveen, A. L. (2014). Store atmospherics: A multisensory perspective. Psychology & Marketing, 31, 472-488. 4 Li, W., Moallem, I., Paller, K. A., & Gottfried, J. A. (2007). Subliminal smells can guide social preferences. Psychological Science, 18, 1044-1049. 5 Spangenberg, E. R., Sprott, D. E., Grohmann, B., & Tracy, D. L. (2006). Gender-congruent ambient scent influences on approach and avoidance behaviors in a retail store. Journal of Business Research, 59, 1281-1287. 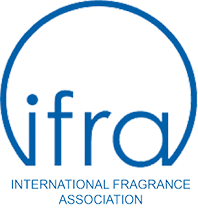 6 Blondeau, M., Tran, A., (2009) Scent Marketing: What is the impact on stores in Umea? Prof. Charles Spence is an experimental psychologist at the University of Oxford. He is the head of the Crossmodal Research group which specialises in the research about the integration of information across different sensory modalities. He also teaches Experimental Psychology to undergraduates at Somerville College. Charles has been awarded the 10th Experimental Psychology Society Prize, the British Psychology Society: Cognitive Section Award, the Paul Bertelson Award and most recently, the prestigious Friedrich Willhelm Bessel Research Award from Alexander von Humboldt Foundation in Germany. Multi-sensory marketing is sharing the future of retail stores, offering customers sensory cues to stimulate dwell time and brand involvement. Our latest research-based findings provide new insight on the impact of scent in the hotel environment, its potential to build brand engagement for longer-term guest relationships and influence on physical design. Understand the growing phenomenon that is scent marketing and how the world of the multi-sensory is impacting businesses today.